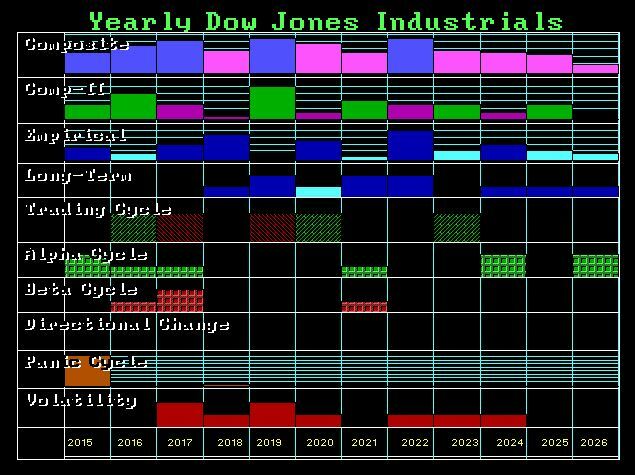 The Dow for Year-End — Will it All Just Go Nuts for 2017? 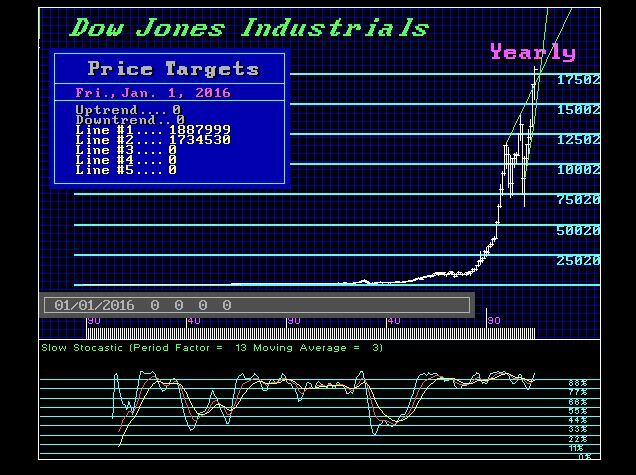 The Dow Jones Industrials still remains in a bullish posture on a broader perspective. The real critical support will lie at 16500 and the Panic Support is well below the market at 13100. Panic Support is the level, if breached intraday, where a Panic Crash unfolds. That is the real important level for 2016, but it does not appear to be in the cards. Otherwise, a closing for 2015 above 16500 is still moderately bullish, whereas the technical levels will be 17345 and 18879. We will be issuing the World Share Market Review after the first of the year. This will cover North & South America, Europe, Middle East, and AustralAsia, as well as Asia from India and China up to Japan. We will also discuss the prospect for a continued sideways market for 2016 with the potential for the Phase Transition unfolding 2017-2020. Keep in mind that the bail-in becomes a formal European position on January 1, 2016, and 2017 is when G20 begins swapping info on everyone everywhere. Capital will be herded and the smart money will begin to position itself once it realizes that it is time to get off the grid. We have the presidential elections in the USA at year-end, and this too will help keep the markets guessing. Will we see Trump vs. Hillary? Will the Republicans split entirely as they desperately try to force their own pick as the Republican candidate in a dictatorial move as they have done before? Yet, 2017 will see elections in Europe in France and Germany. Of course, we will also have the British vote to leave the EU. So looking at this agenda of fundamental chaos, it is not that hard to see why the computer is showing it all going nuts starting in 2017. The question we will address is shall 2017 be a REACTION LOW with the false move before the breakout or a high with the meltdown afterwards?